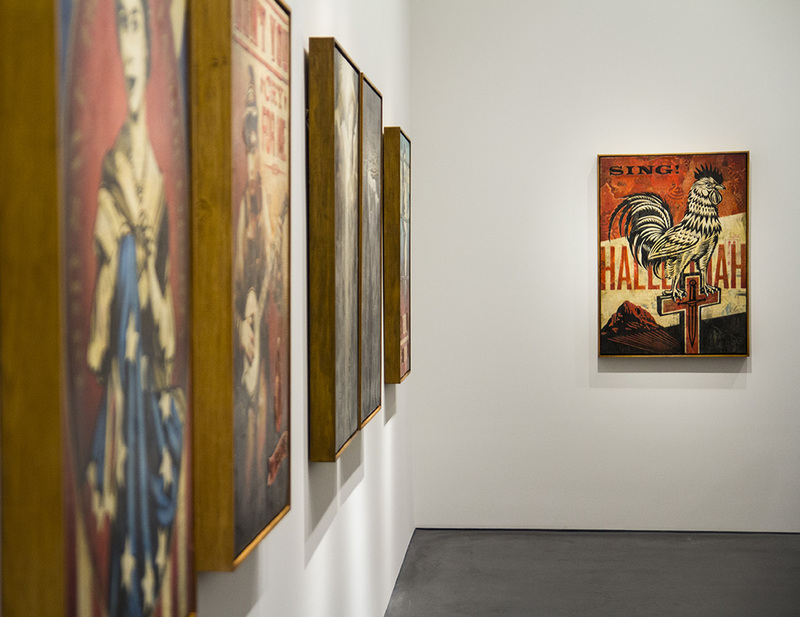 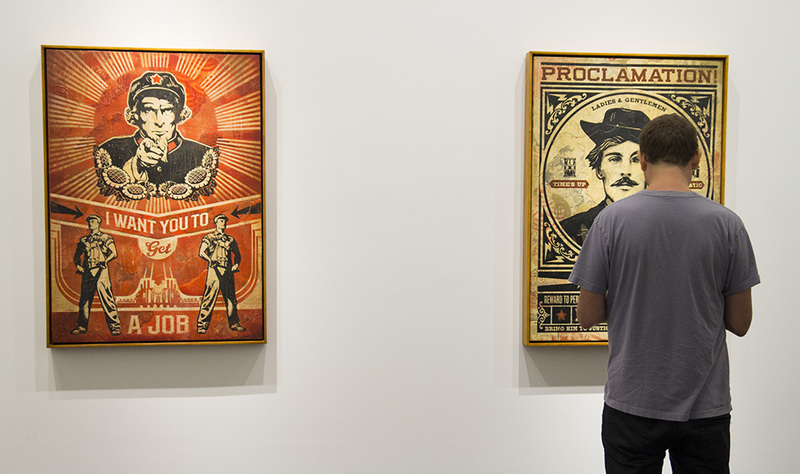 Over the weekend, the debut show at Perry Rubenstein’s newly opened Los Angeles gallery featured new works from Shepard Fairey. 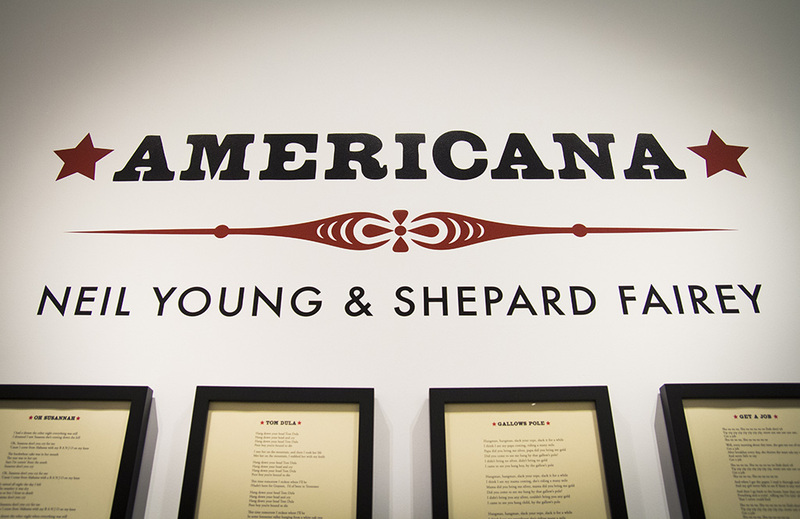 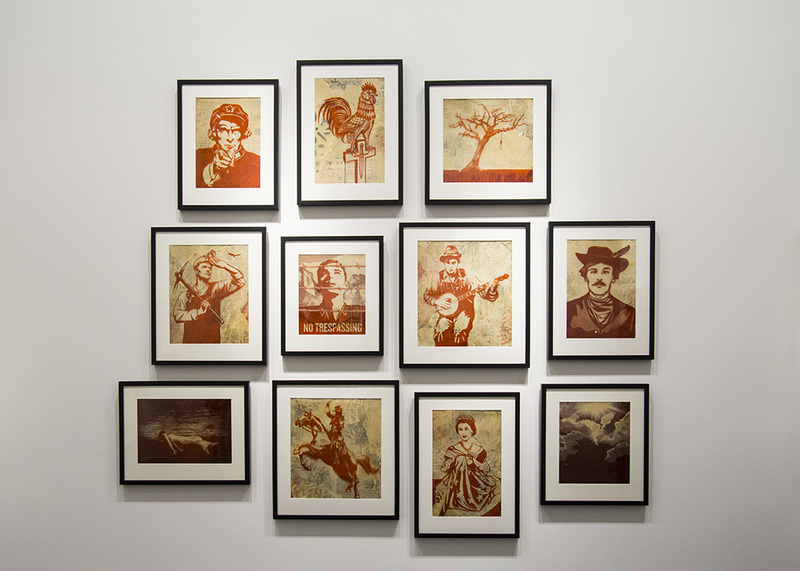 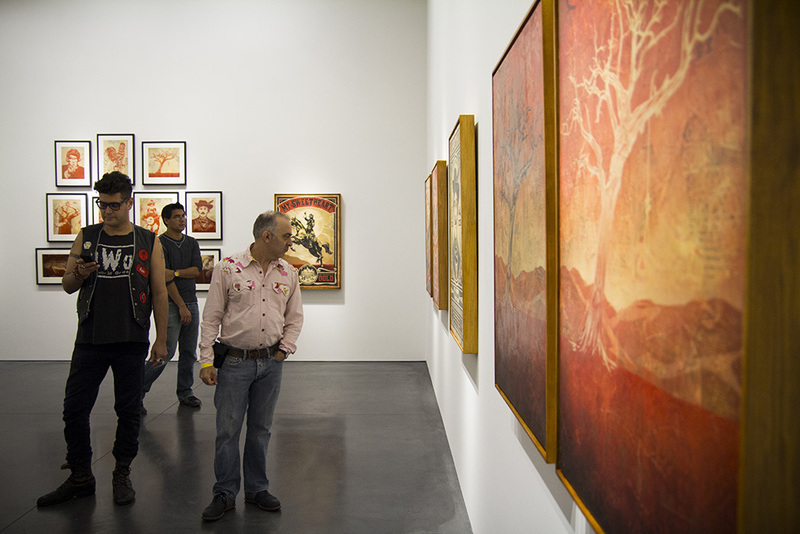 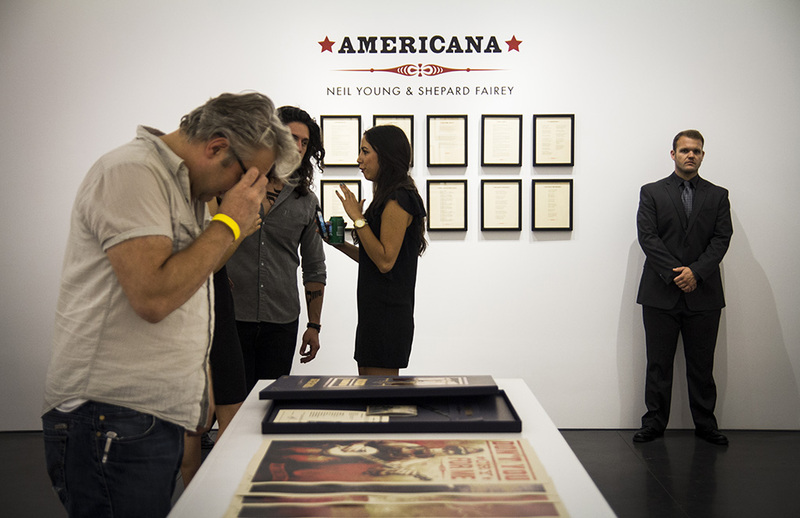 Entitled Americana, the exhibition showcased eleven new works, each one inspired by the songs, such as Oh Susannah, This Land Is Your Land and Clementine from Neil Young’s new album Crazy Horse. 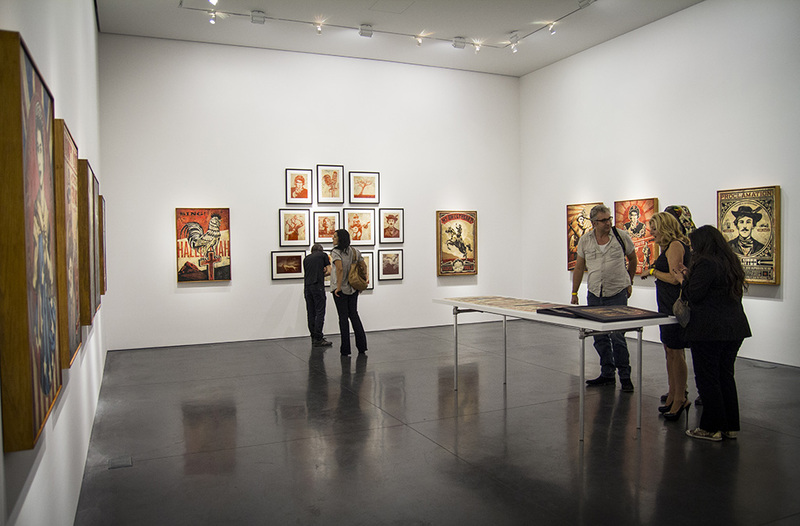 Categories: Contemporary Art, Openings, Shows & Events, Street & Urban Art. 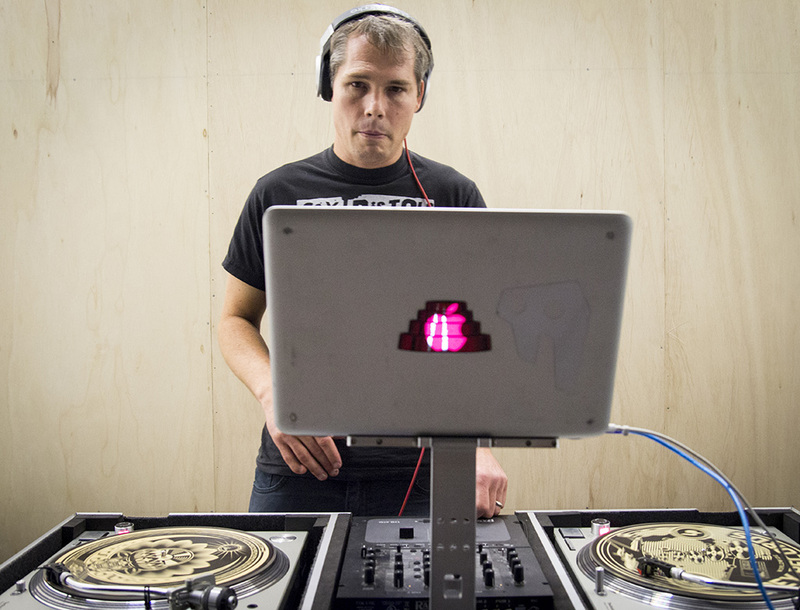 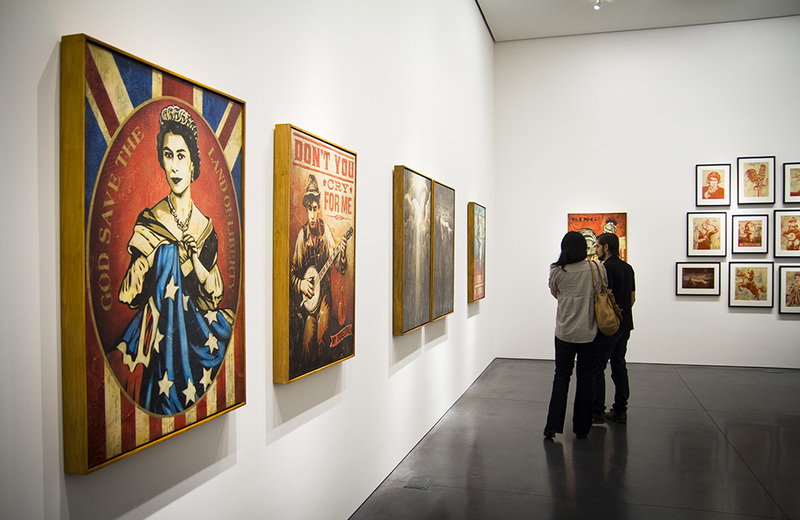 Tags: Contemporary Art, featured, Los Angeles, Shepard Fairey, Shows & Events, slider-featured, Street & Urban Art.